Earlier this year, Jio had announced that it would be acquiring the popular music streaming platform Saavn. Well, it looks like the acquisition has now been completed successfully. Yes, you can now download the JioSaavn app on both iOS and Android. The merger brings along with it a new icon and a somewhat new design for the app as well. The rebranding is kind of an obvious move after an acquisition, however, I noticed something a little weird when I searched for Jio Music on both the App Store and the Google Play Store. Reports last week said JioSaavn will be focusing on the paid offering, limiting what users could do in the free version of the app. While the Saavn app has been replaced with the JioSaavn app on iOS, on Play Store it’s a different story. For some weird reason, the Jio Music app has been replaced with JioSaavn on the Google Play Store, instead of Saavn like on the App Store. 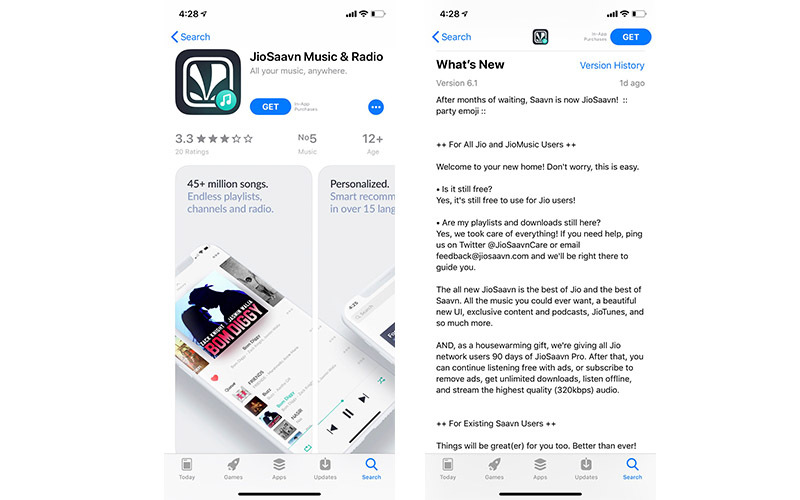 This means, Saavn is still sitting as a dedicated app on the iOS, whereas you can still download Jio Music as a standalone app on the Google Play Store. That being said, the JioSaavn is still available as a free-to-download app on both the platforms. 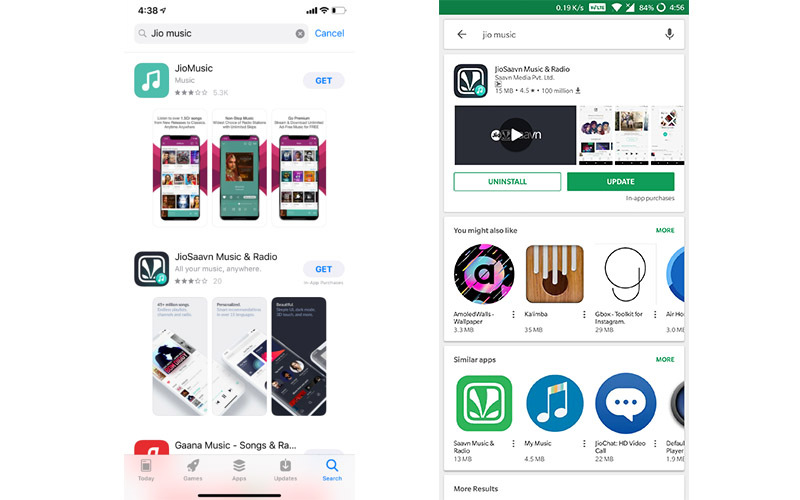 The changelog shared in version 6.1 of the JioSaavn app on Apple’s App Store notes that all Jio Music users can access their individual playlists and downloads on the new app. Additionally, all Jio Prepaid and postpaid subscribers will get a 90-day free Saavn Pro membership. The app size of JioSaavn on the App Store is about 79MB and it requires iPhone, iPad, or iPod touch running iOS 8.0 and above. The Android version of the app only measures 15MB in size and it requires Android 4.1 and up.